sailboat. 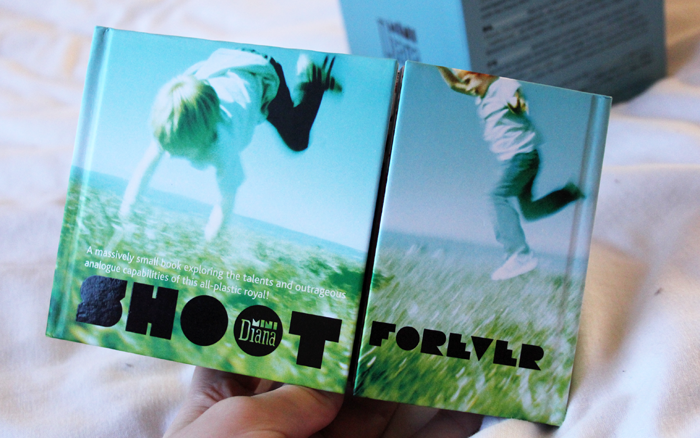 : Lomography Diana Mini Camera! Oh that new camera feeling, it's one of my favourite things in the whole entire world. It's kind of like like getting a new pair of shoes, it's something that will go with me pretty much everywhere and I'm already incredibly excited about taking this on it's first mini adventure. My favourite part about it is how tiny it is, so I certainly don't have any excuses not to have a camera on me at any time this year! Surfdome very kindly gave me a £30 off code to put towards this beauty and I was hitting the checkout button & entering in my details as fast as my little fingers could click and type. 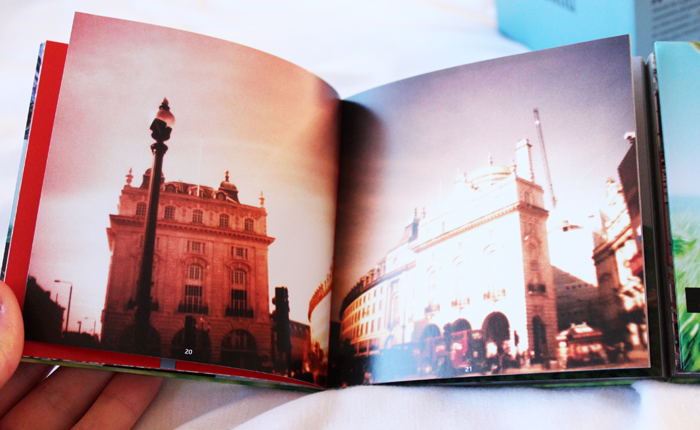 The books that Lomography include with their cameras are always beautiful and a constant source of inspiration. They're packed full of other people's memories and they usually feature a lot of smiles, beautiful places and sweet animals! 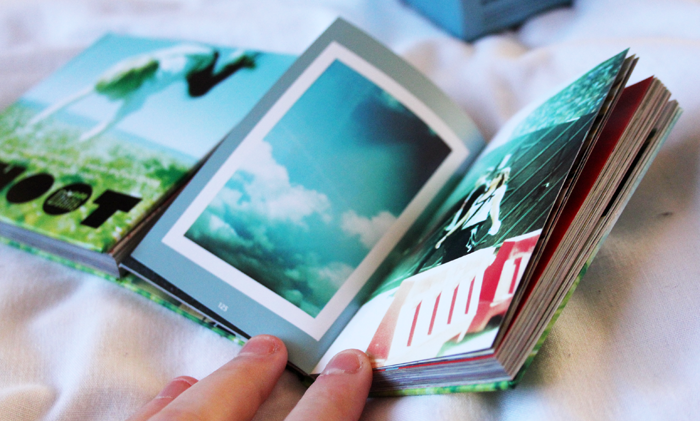 Flipping through the pages instantly makes me want to grab my camera, a roll of film and get snapping! I do have a Diana+ camera in my collection, which I adore and the only reason I don't use it very often is because it takes 120 film & to be honest I'm having a bit of a love affair with 35mm again. The Diana mini is perfect because it can shoot up to 72 photographs on to one roll of film on the half frame setting or 36 square pictures and it doesn't limit you to one option or the other - it's possible to shoot a square picture, flip a switch and shoot a half frame afterwards (shooting a blank image in between)! 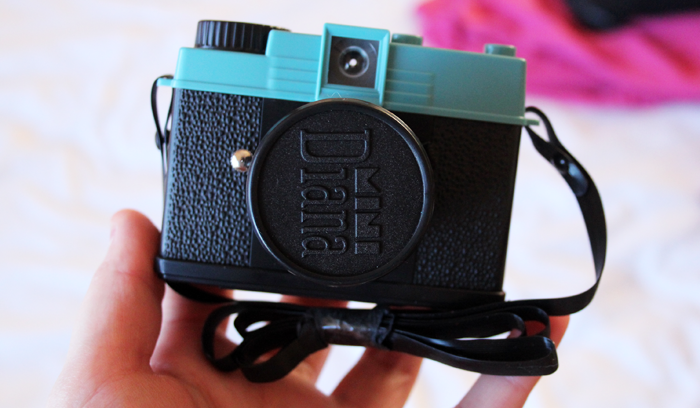 Do you have a Diana Mini? Are you a fan of film photography? I love my mini Diana but I really don't use it as much as I should because I never get around to getting the film developed. This is beautiful, and the little books looks really lovely too! So cute, I would love one of these! You must share some of the photos you take with it :D I'd be super interested to see! This is lovely! The books also look great as well. I know this might sound very girly, but I love the colour of the camera as well - it's such a beautiful shade! This is absolutely gorgeous! I'd love to own it! jealous!!! im so desperate for one! Ooh, this looks adorable. I've never tried a film camera (not since I was a kid using disposables) just because of the hassle/cost of getting the film developed but it is kind of fun to think about not knowing exactly what the picture you've captured looks like until you get the packet of pictures! I lvoe film cameras for their unpredictability. I've got aboout 6 rolls of film waiting to be developed and I can't quite remember what I shot! Makes it like a present to get back. I've never used a Diana but have always had a little lust after them. Ever so pretty! Oh that camera is SO cute! I love film photography, the photos just have such a lovely quality to them. 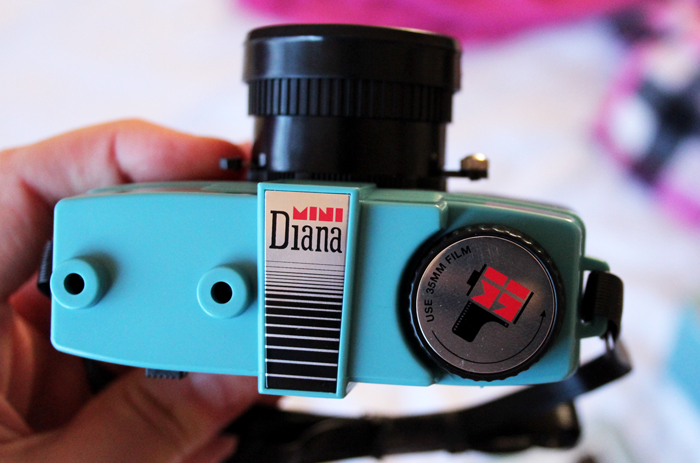 I reaaaally want a Diana camera! gah, getting a new camera is SO FUN! and i haven't shot in film since like junior high. i fee like those pictures look much more...alive?...then digital photos. i really hope you share your snaps on the blog, i'd love to see your day to day through this new toy! gahh that is a cute camera, I've never really had experience with film photography so I don't know how I'd get on with it really!